Steep mountains plunge down to marine canyons along this stretch of the Italian Riviera, which lays claim to some of the best diving in the Mediterranean. The epicenter of scuba here, some 30 kilometres / 18 miles east of Genoa, is the famous seaside village of Portofino. Flanked by the towns of Santa Margherita Ligure and Camogli, Portofino is also the birthplace of Italian diving. Punta Secca Carega – also known as Dry Gonzatti (after Dario Gonzatti, the diver commemorated by Christ of the Abyss) lies not far offshore the Portofino peninsula. Hiking the myrtle-clad hills overlooking the bay and whiling away the day’s people watching on the beach are popular ways to dodge the crowds, but none can compare with slipping silently beneath the surface and enjoying one of the many top class dive sites dotted along the coast. 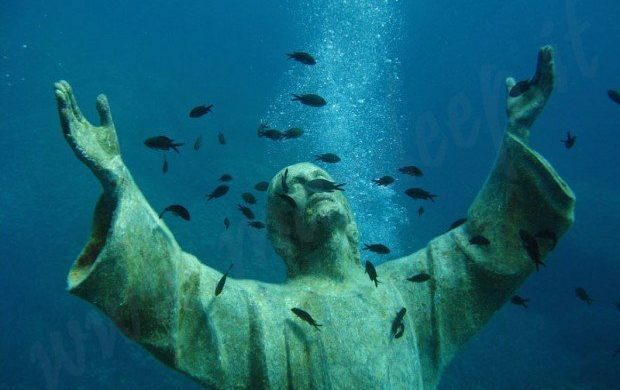 Christ of the Abyss – This is the original. Installed in August 1954 in the small bay at San Fruttuoso, it commemorates diver Dario Gonzatti who died while diving an early rebreather. The famous sculpture lies at 16 m / 53 ft and is kept company by schools of damselfish, perch and wrasse. Isuela – This underwater pinnacle off Punta Chiappa reaches up from 60 m / 200 ft to within 13 m / 40 ft of the surface. This is often hailed as one of the best dives in the Med. Shrimp Cave – A vertical wall starting at about 20 m / 66 ft drops steeply into the abyss here. Healthy colonies of red coral and yellow sponges cover the walls and grouper colonize the rocky shallows of this high voltage dive site. Mohawk Deer – This Canadian steam-powered cargo ship was on tow from Genoa to the salvage yard at La Spezia in 1974, when she struck a rock and broke into two massive chunks. 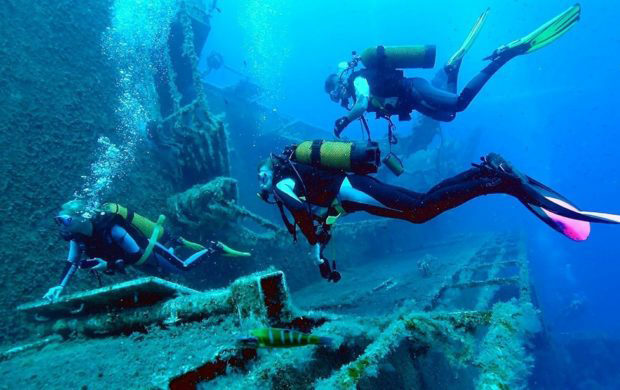 It’s now one of the best known and loved dive sites in the area. Already an enchanting and spectacular region surrounded by sea and mountains, the unspoilt interior will transport you back in time. With currently 138 hikes all around Liguria, there are plenty of options for outdoor enthusiasts. Combine history with pleasure by retracing some of the old Roman roads and even the ancient salt routes. All this is framed by the clear blue Mediterranean and intensely green mountains. 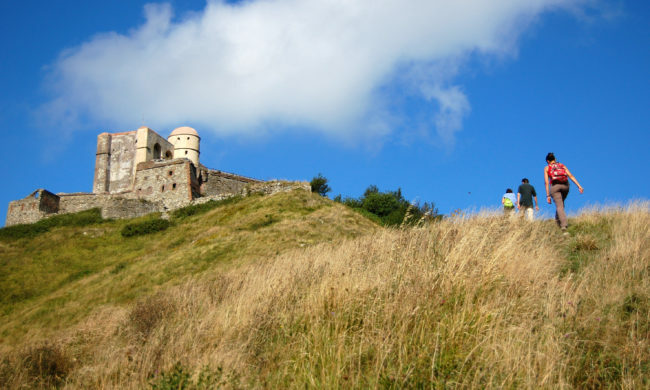 In total 97 hiking trails, 20 long distance hiking trails and 21 pilgrim trails are waiting to be explored. 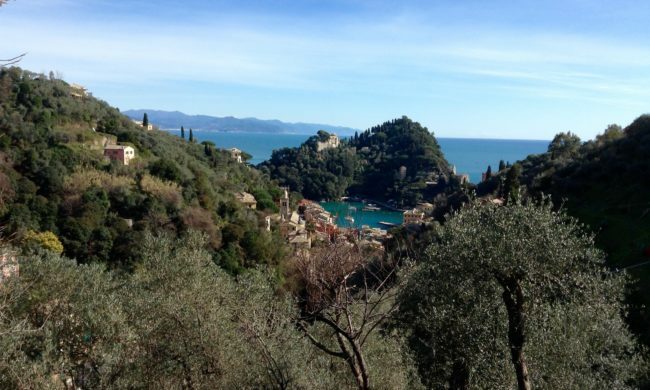 In particular, the many paths through the Monte di Portofino differ in length and difficulty, making it possible for anyone to access it by choosing – according to their capacity – a simple and short walk or a more challenging path. Salt was a valuable commodity in medieval times and one of the most marvellous hikes in the region is the old salt road from Valle delle Meraviglie (Valley of Marvels) to the Balzi Rossi along the coast not far from Ventimiglia. The route begins with a trek through a high mountain valley at about 2000m above sea level. Another impressive hike is Punta Manara. A picturesque fairy-tale path starting from the centre of the city of two seas, Sestri Levante, to the East of Genoa on the Riviera. The hike starts from Via XXV Aprile – the main lane, a long, narrow pedestrian street – which follows the coastline, on the left flanked by the Bay of Silence and on the right by the Bay of Fable. The best local spots are Recco, Bogliasco and Levanto on the Western coast and Varazze and Andora on the Eastern coast. 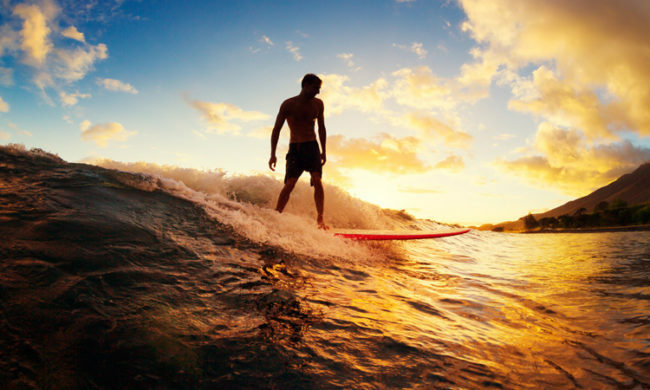 The characteristics of Liguria’s coastline offer good conditions for surfing all year round. Levanto, near the Cinque Terre, is one of the best surf spots in Italy and a major draw for surfers from Europe and other parts of the world. Over the last 10 years the waves of Levanto have grown increasingly famous, with waves which in winter can reach a height of up to 4 metres. In spring and autumn you can enjoy perfect wave conditions with pleasant water temperatures. In the Gulf of Levanto surfable waves occur mostly when southwest winds blow or landward, but the sea is also at Scirocco suitable for surfing. Many surfers prefer the bay of Spiaggia d’Oro and Oneglia in the extreme West of the region, near Imperia in Porto Maurizio, or the bays of Diano Marina and just before San Remo. Varazze is also a popular spot for surfers. 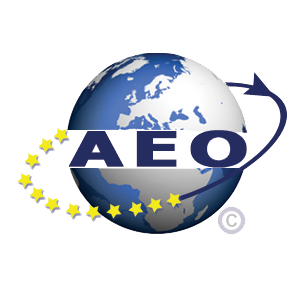 On the Eastern coast, key surf centres – especially for lessons – include Bogliasco, just 10 minutes from Genoa, and Recco, which has a well-developed school. If you have your own equipment, you can just dive in and get started. If you don’t, simply get in touch with one of the surf stations. Equipment can be hired for the day or even the entire month. 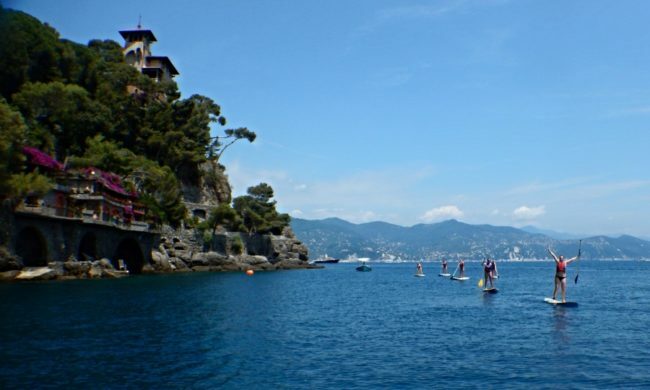 Paddleboarding is a relatively new sport in Italy but the Ligurian coast, with its sheltered bays, is ideal for stand-up paddleboarding (or SUP as it is known locally). 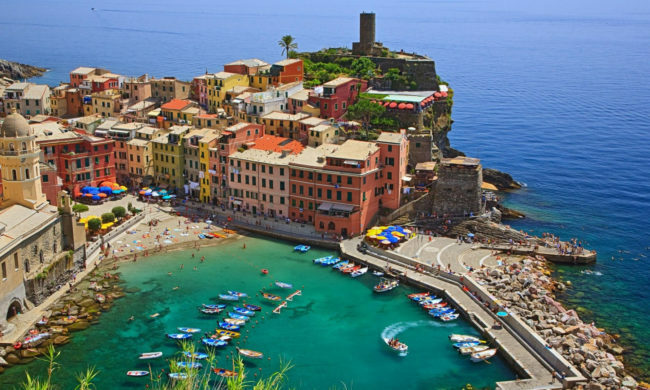 Again, popular centres include Bogliasco, Portofino – in the Niasca bay just a few hundred metres from the piazzetta – plus Albenga, Diano Marina, Andora and Bergeggi island. For a weekend on the slopes, there are various locations easily accessible from Genoa. 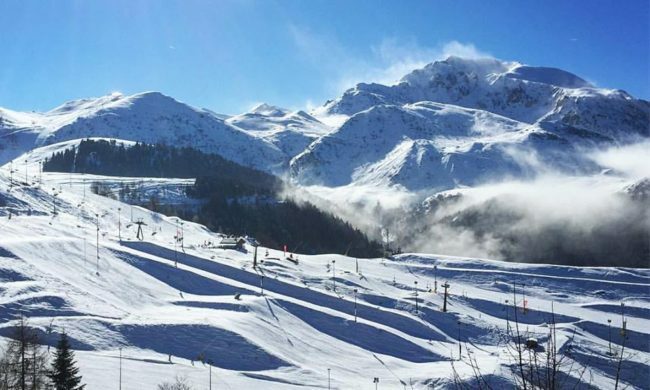 If you would like to spend a weekend skiing or snowboarding, there are various locations near Genoa that you can visit and some within an easy day trip. 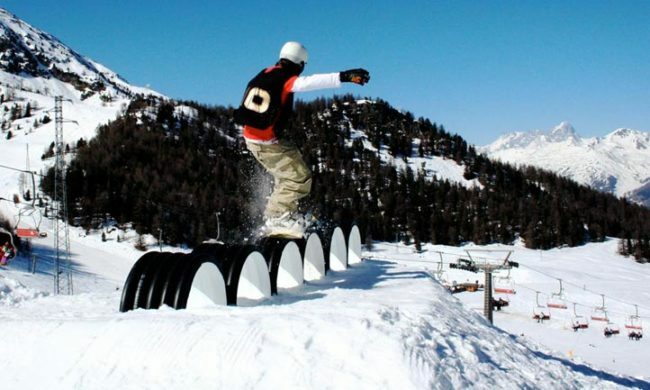 These locations include Mondolè Ski – Frabosa Soprana, Artesina and Prato Nevoso, which has a great snow park for boarding – Limone, Pila, Champoluc and La Thuile in Valle d’Aosta. Courmayeur is a three-hour drive from Genoa and has the lovely thermal baths of Pré Saint Didier nearby. Cervinia, Champoluc and La Thuile are a similar distance, whilst driving to Limone and Prato Nevoso takes just two hours. Do be aware that by law you will need snow chains aboard your vehicle, so if you hire a vehicle, you will need to hire these too. To give you an idea of costs, renting basic skis, boots, sticks and a helmet should cost you around 20 euro per person for the day, and daily ski passes average 32 euro. There are also organised trips run by local coach companies and prices include transport and ski pass – often the best deals are in the week when the pistes are emptier. All leave from nearby Piazza della Vittoria at around 6am and they also offer transport-only options, should you just like a breath of mountain air or prefer to hire a sledge. 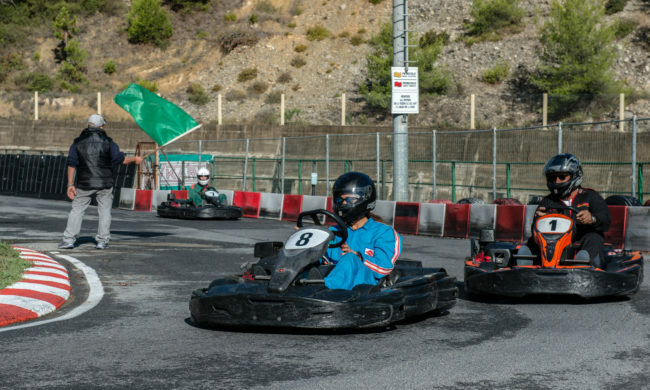 Whether undercover or open air, there are go-kart tracks less than an hour from Genoa. Ligurians absolutely love their karting! 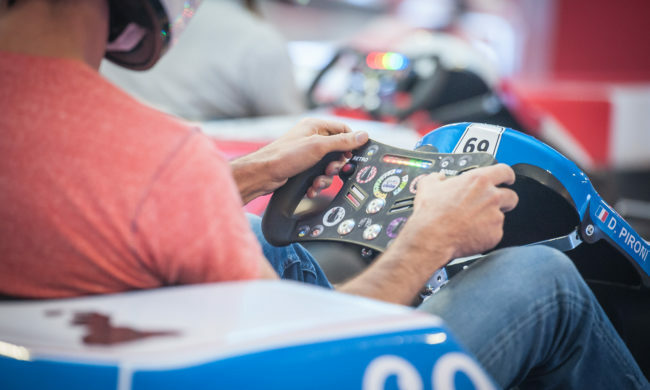 Undercover tracks can be found in Savignone, just 30 minutes from central Genoa, and Albenga, where a brand new drift kart track has just opened this year. If you are planning a crew race you should book at least an hour. Alternatively, there are big, open air tracks in Ronco Scrivia and Carasco. On Sundays they organize GPs and events that you can sign up for in advance. 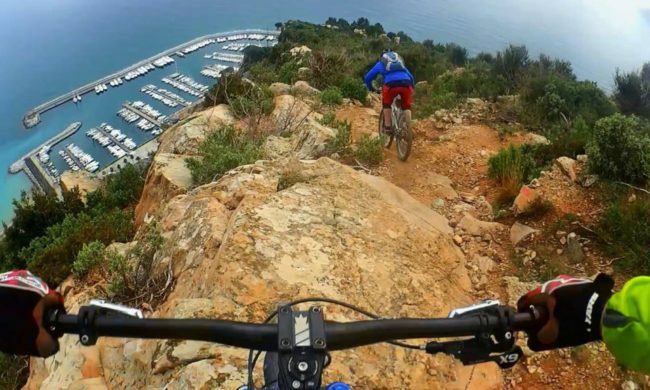 The Ligurian terrain – including the world-beating location of Finale Ligure – is ideal for traditional mountain biking, assisted mountain-biking, cross country and Enduro. All sorts of bicycle disciplines are well-served in Liguria. 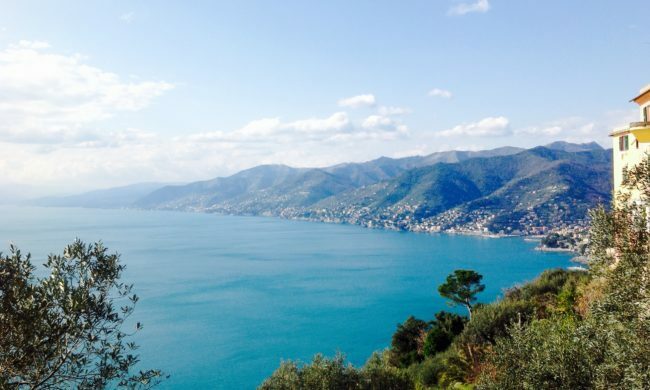 From the 2,000 km distance along the Maritime Alps, to adrenaline-pumping downhill gravity trails on the nearby Portofino mountain, to leisurely flat cycling through the old train routes between Framura and Levanto, there really is something for everyone, whatever their skill level. The diamond in the crown is Finale Ligure. From the minute you begin skirting the Mediterranean coast, you’re already in love with Finale. By the time you reach the beach – having descended one of its many world-class rocky trails – it’s too late, you’ll want to stay forever. There are few places on earth that can claim to marry this quality of riding with this kind of backdrop. It needs to be experienced to be believed. There are an estimated 150 trails in the hills surrounding the town, so we’d recommend getting a guide to help you explore them. The town is taken over once a year by the Enduro World Series (EWS), so why not go and join in the celebration of everything two-wheeled? 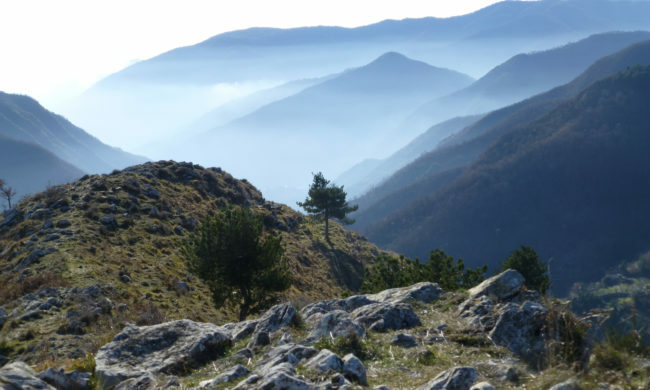 Maritime Alps – with 2,000 km of itineraries and 60 tracks with 4 levels of difficulty – including difficult single-track routes for athletes – access from Liguria is from the Riviera de Fiori. 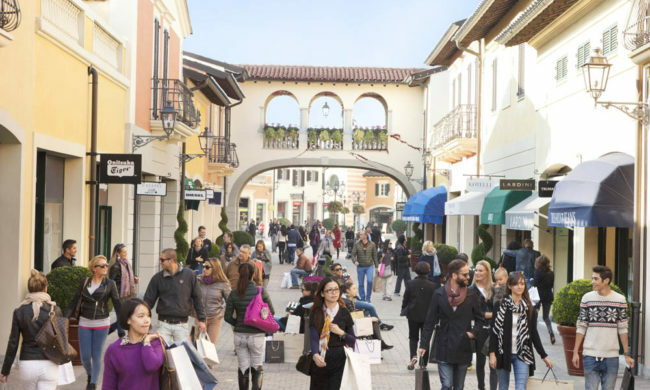 Shop for discounted brands at outlet villages in and around Liguria. 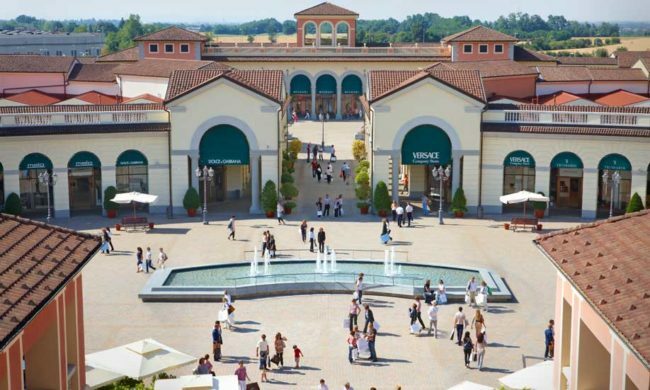 Just a short motorway journey away from Genoa there are three major outlet villages – quintessentially Italian in character – and always offering discounts of up to 70% on branded goods. Choose from sports brands like Adidas, Nike and Puma to Italian couturiers and Made In Italy homeware brands. There are also lots of great Italian restaurants to enjoy. With direct connections from Genoa, make your stay here in Italy feel like a vacation with visits to these stunning cities. Rome – The eternal city is not as far away as you think, and 36 hours in the capital are enough to get a fantastic taste of one of the most exciting cities in the world. Explore the ancient Colosseum, Pantheon, and Palatine hill, plus many iconic 1960s locations from the Dolce Vita – Piazza di Spagna, Villa Borghese, St. Peter’s and of course the Trevi fountain. With 9 trains, 4 direct Alitalia flights and 5 Flixbus departures per day there are plenty of transport options from Genoa. Florence – You will leave your heart in Firenze! 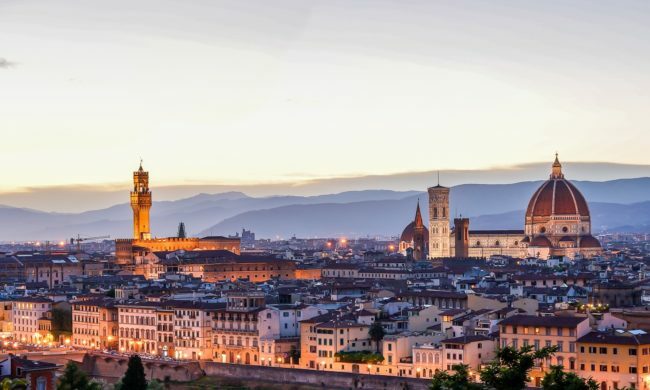 Marvel at Brunelleschi’s cathedral dome, the Ponte Vecchio bridge, Santa Croce cathedral and the numerous sculptures – plus Michelangelo everywhere! Numerous trains operate daily from both main stations in Genoa, either direct or changing in Pisa. Flixbus has three departures per day from Genoa Principe Fanti d’Italia stop arriving at Piazzale Montelungo bus terminal. 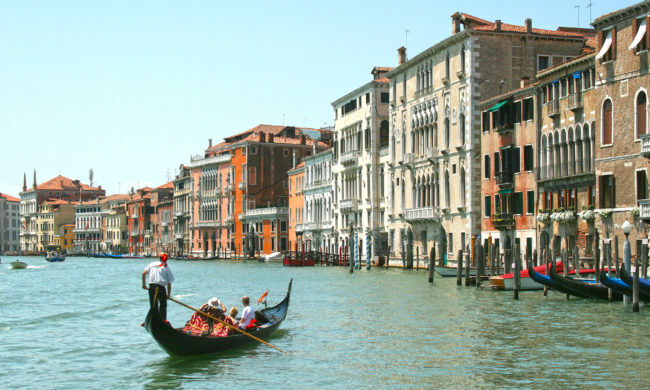 Venice – Don’t miss the Serenissima, with the Guggenheim and Accademia galleries, the Ducal palace, incredible architecture, delicious eats and glass-blowing marvellousness. Numerous trains operate daily from Genova Piazza Principe station, all via Milano Centrale, where you will need to change (arrival is at Venezia Santa Lucia station which is on Venice itself). Alternatively Flixbus has a daily coach departure from Genoa Principe Fanti d’Italia arriving at Tronchetto bus terminal – you can then reach St. Mark’s Square using ferry line #2.